John Cuyler is never one to let an opportunity slip by. He graduated from Syracuse University’s Whitman School of Management in spring 2009 where he earned a degree in Entrepreneurship and Emerging Enterprises (EEE) while enrolled part time through University College. During the course of Cuyler’s studies, life became a whirlwind of achievement, awards, and recognition. In the spring of 2008, he led a team that tied for second place in the Panasci Business Plan competition, hosted by SU’s EEE program. Their plan centered upon the development of an innovative portable kayak that could be folded in half and carried like a backpack into remote locations. 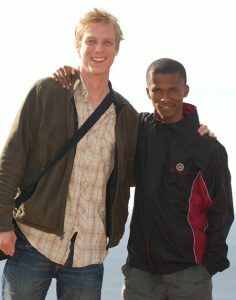 In the summer of 2008, Cuyler took part in EEE’s Entrepreneurial Empowerment in South Africa program (EESA). Student consulting teams worked with disadvantaged entrepreneurs near Cape Town to help them make their ventures sustainable.